Free Giveaway : L-Shaped Sofa Couch and 2 Club Chairs (Glendale) - GiftsDetective.com | Home of Gifts ideas & inspiration for women, men & children. Find the Perfect Gift. Quality solid wood construction custom made in the 1950s. Couch is 108 inches in length. The L is 60 inches in length. 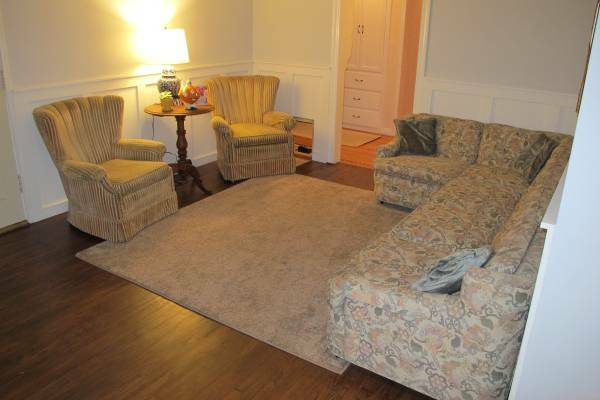 The chairs are 32 inches wide x 31 inches deep. No stains on the upholstery.